Are you wondering why you need to have a survey? The original Land Survey of Ontario was completed around 1792, at that time Ontario was divided into counties. Now these old time survey crews chopped and hacked their way through the underbrush dragging chains for measuring. Each chain was 66 feet long, a mile was 80 chains and the measurement is described as metes and bounds. Many of today's waterfront lots were divided and then handed down by their parents to the next generation and so on. Now when they are sold to new property owners, many of these lots have never been surveyed since the original crews. You can see how the errors can happen, chains dragged through the woods. Family giving lots to family for friendly neighbors it wasn't as much of a concern even 30 years ago. Prices were not like they are today! Even today when separate land survey crews go in they can end up with different findings. Over the years many cottage properties had improvements where the owners did not worry about or the actual property lines, many probably assumed it was their land. Cottages have been built and expanded without permits; some have encroached on Crown land. Others have been expanded to the point the septic system is not adequate and needs to be replaced. Problem is there may be insufficient land on the cottage lot or the soil conditions do will not allow a new system to be installed. A Land Survey for cottage and waterfront properties, as well as other lands in Ontario, are described in an exact manor so you cannot mistake one property with another. A survey contains four essential components; Research, measurement, monumentation and the Plan or Report. 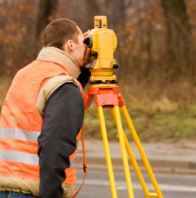 If a property needs a new survey, surveyors determine the boundary lines of a property based on the best evidence available. The boundary lines will not necessarily be based on an earlier survey or description in the deed, in other words they may end up not where you thought! Physical evidence on ground takes precedence over written description in the transfer/ deed, so what your deed says may not end up being what you own! When looking at the documentation provided, photocopies are not good enough for description! An impressed seal on the plan is the only thing that confirms that it is an original. Any forms provided that does not contain a seal may have incorrect information added on without the knowledge of the originally issuing surveyor. 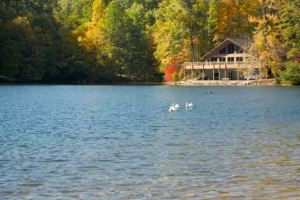 When buying a cottage, a waterfront home, a cabin or any recreational property you should consider having a 'Surveyors Real Property Report' completed. Also described as a 'Building Location Survey' this will have two parts: The Plan of Survey and the Certification. For you as the purchaser, it will show the buildings, driveways, and outbuildings,everything that might affect your enjoyment the property. An up to date real property report should be obtained before closing to ensure there are no major discrepancies over the property, structure and building borders. Last thing:If you see the wording an up to date survey, use caution because the only true up to date survey is one that has just been done. Due diligence on the property is important. Be Careful.